What is Girls in the Game? Girls in the Game provides and promotes sports and fitness opportunities, nutrition and health education, and leadership development for girls to encourage healthier choices and build confidence. Girls ages 7 through 18 can participate in a variety of activities – from yoga and lacrosse to soccer and dance - year-round. By getting in the game – any game – girls can learn teamwork and perseverance, and to make decisions that lead to a happier, healthier life. 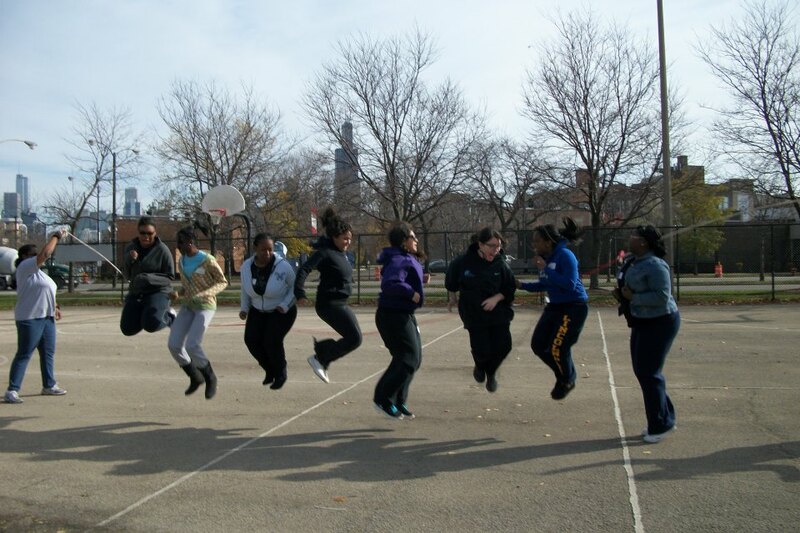 Since 1995, Girls in the Game has become a leading girls' health and fitness organization in Chicago, empowering more than 3,000 girls every year. What inspires Girls in the Game to do this work? Being overweight can lead to serious health problems and the lack of access to fresh fruits and vegetables makes eating healthy very difficult for many Chicago families. On top of that, decreased funding of physical education and after school programs has led to an increased reliance on sedentary activities, such as watching television and surfing the internet. When it comes to girls, research shows that even when schools offer gym, girls participate less than boys and while boys’ self-esteem increases as they reach adolescence, girls’ self-esteem dramatically falls. 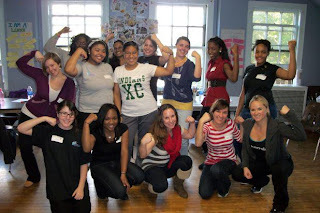 "[We] take sports and fitness opportunities and we combine that with health education for girls—nutrition, body image and leadership development—and bring it together to make programs that address the whole girl,” Amy Skeen, Executive Director of Girls in the Game, explained on the Girls in the Game website. 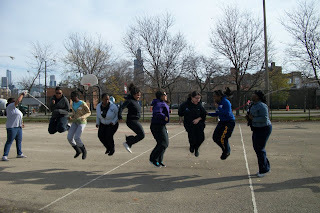 In 1995, a group of women surveyed the services and opportunities in Chicago and discovered that despite the passage of Title IX, which banned sexual discrimination in schools, girls had few opportunities to participate in athletics. In February of that year, A Sporting Chance Foundation (the original name of Girls in the Game) was founded by Kathy Chuckas, along with Marilynn Preston, Cathie Ryan, and Rhona Frazin. 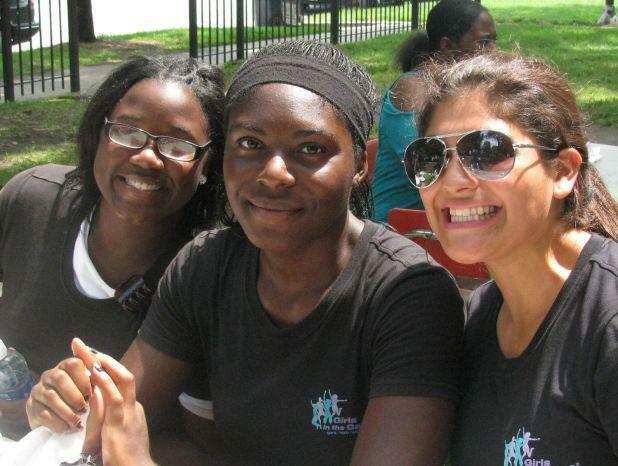 By 2000, A Sporting Chance Foundation was reaching 200 girls per year. In 2003, based on feedback from girls, the organization expanded its mission to include nutrition and health education, and leadership development and changed the name of the organization to Girls in the Game. Strong collaborations with community partners, like the Chicago Park District and the Chicago Public Schools, have been essential to the organization’s success. How can GIGSTERS get involved and help Girls in the Game? - There are numerous opportunities to volunteer, from being a one-time guest coach or a weekly assistant at an after school elementary site to helping out on Game Day to providing help with homework. Click here to see a comprehensive list of opportunities and download the application form. - Shop using GoodShop – Click on the “Choose a Cause” button, enter “Girls in the Game” and a portion of your shopping will be donated to Girls in the Game. Really very inspiring video for me.Thank you so much for sharing your wonderful video with us.